« USAA: “Just kidding”… u-turns back to Fox. For openers, there’s the big issue of meddling in another countries elections. Of course, it’s seriously bad for a foreign government to be meddling in our elections. Period. But, there is a certain “holier-than-thou” reaction. In the old days, it was Iran, Chile and Cuba. In the Obama era, it has been funneling money to defeat Netanyahu in Israel and “violating a longstanding international understanding that world leaders don’t visit during election campaigns” in the run-up to Brexit. Sometimes, what goes around, comes around. Yeah, but this was cyberhacking on a grand scale. Yahoo has fessed-up to having over 1 billion accounts hacked with personal information pilfered. That’s billion with a “b”. And, anybody remember the hacking of the Fed’s OPM (Office of Personnel Management)? The hackers stole personnel files of some 20 million current and former federal employees, including contractors, family members and others who had undergone background checks for federal employment. Everything, from Social Security numbers to birth dates, even fingerprint records, was accessed through OPM networks. Now, that’s a hack ! Was there mass hysteria after the OPM hack? How about an urgent report on the President’s desk in a couple of weeks? That’s some all-hands-on-deck super-sleuthing for you. OK, so Wiki got its hands on about 50,000 Podesta & DNC emails. That’s only a bit more than Team Clinton BleachBit to destroy evidence related to her private server investigation. Sure, the hackers distributed some potentially embarrassing stuff. I say “potentially” because it’s not obvious to me that any Dem operatives actually got embarrassed. And, it can’t possibly have been a surprise to anybody that Hillary is truth-challenged; that Team Clinton wasn’t fond of a major swatch of the American citizenry, including some big groups like Catholics; that NBC, CNN, WaPo and NYT were swimming in the Clinton tank. All the emails did was confirm the obvious. To my surprise, there wasn’t any classified info released. Contrast that to FBI reports that “foreign actors undoubtedly breached” Hillary’s server which was proven to contain classified information … some at the highest level of classification. I guess the Russians aren’t among the Clinton-server hackers, right? They only left their fingerprints on the Podesta-DNC hack. The Kemlin was trying to get Trump elected. There is a sharp difference between being pro-Trump and being #NeverHillary. I know, because I’m firmly in the latter camp. Yeah, Trump has business dealings in Russia and he wisecracked about Putin turning over Hillary’s deleted emails. But, does anybody really believe that Trump will be a Putin puppet? I think that’s a reach. Trump sure hasn’t shown any particular favoritism towards Russia. 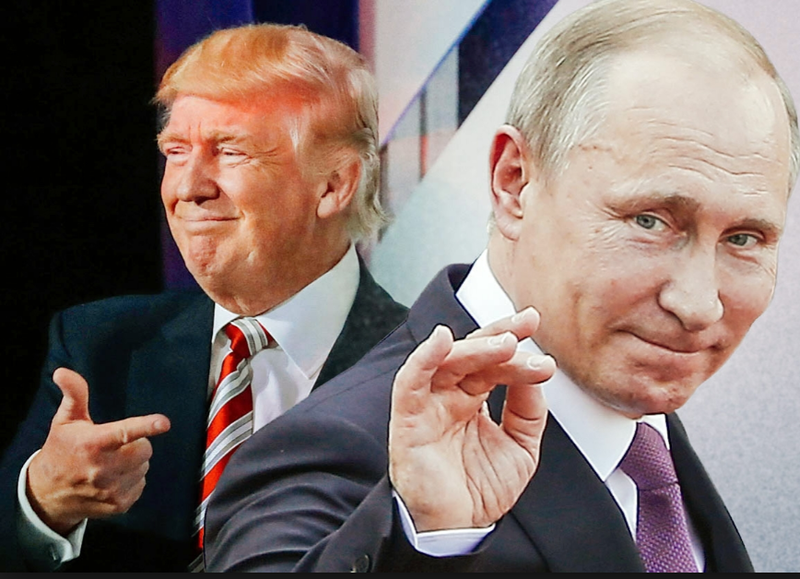 Remember, it was Obama-Clinton, Trump, who yanked Poland’s missile defense shield, held back military equipment from the Ukrainians, ceded Crimea to the Ruskies, promised “more flexibility after the election,” and outsouced Syrian redline enforcement to Russia. “Vladimir Putin himself directed the covert cyberattacks against our electoral system, against our democracy, apparently because he has a personal beef against me”. Geez, is it that hard to fathom that the guy is among the millions who just don’t like her? Obviously, the hack was pro-Trump since no GOP emails were published. (2) The GOP takes cybersecurity a bit more seriously than the Dems do. The latter hypothesis carries some sway with me given the lack security on the Clinton server and details of the Podesta hack. Podesta clicked on a spear-phishing link. Every IT department and cybersecurity expert warms not to do that. The hackers didn’t come in through some obscure backdoor. A moron clicked on a dangerous link … and predictably, all hell broke loose. I’d call that a self-inflicted wound. This entry was posted on June 1, 2017 at 6:59 am and is filed under 2016 Presidential Election, Clinton, Hillary, Cybersecurity - cybercrime, Hacking - Hackers, Trump, Donald. You can follow any responses to this entry through the RSS 2.0 feed. You can leave a response, or trackback from your own site. Listen, no big deal that Hillary won because Russia helped. The US has been meddling in other elections for decades.